Entry to the Complex of Hue Monuments in the central city of Hue will be free for tourists on the first three days of Tet, February 16 to 18, while entry to the Ho Dynasty Citadel in the north-central province of Thanh Hoa will also be free from February 15 to 17. The free entry is to encourage tourists to visit the historical sites during the biggest holiday of the year. On these days in Hue there will also be dragon performances, nha nhac cung dinh Hue (traditional palace music from Hue), folk games, calligraphy, and martial arts performances at Thai Hoa Palace in the Imperial City of Hue. Meanwhile, a similar artistic program is provided at the Ho Dynasty Citadel, including a photo exhibition and a series of musical concerts of Vietnamese folk art, such as cheo (traditional opera), ca tru (sung poetry) and tuong (classical drama). The Ho Dynasty Citadel was Vietnam’s capital under the Ho Dynasty (1398-1407). 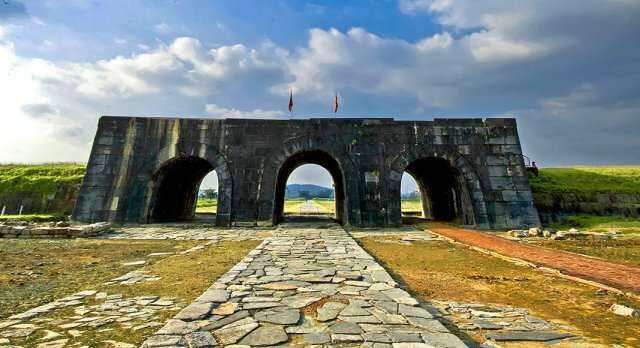 Located in Vinh Loc district, the citadel was built in 1397 and is the only citadel in the country built entirely from stone and has remained largely intact over the years. It demonstrates the use of architectural elements in terms of space management and decoration for a centralized imperial city, based on Confucian philosophy. It was recognized as a World Cultural Heritage Site by UNESCO in 2011. According to experts, the structure is an outstanding example of a new style of construction for a Southeast Asian imperial city.